Please accept our very sincere thanks for all you did during my recent sudden illness while I was attending my son’s graduation in South Africa. When my husband realised that he had to get me to an emergency unit fast, he phoned my daughter, who contacted Simone, giving her little to no time to contact Nelspruit Mediclinic. However, by the time we reached there, literally a quarter of an hour later, the emergency unit had already been informed of our pending arrival, and all arrangements re payment for my treatment had already been made – a huge relief for us, as we had not been prepared for this in any way, and could not afford any delays with treatment. I was taken straight in and immediately treated and admitted shortly afterwards. Throughout this time, Simone continued to follow up with my husband about my health and treatment, even after I was discharged. 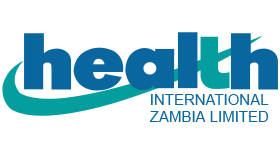 We are greatly appreciative of the way this was handled by Health International – a very big thank you to you all, from both my husband and I, and our two children.